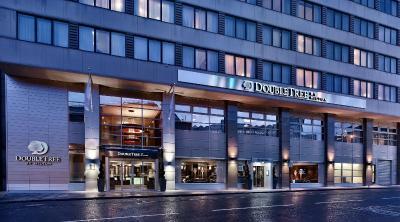 Lock in a great price for DoubleTree by Hilton London Victoria – rated 8.2 by recent guests! 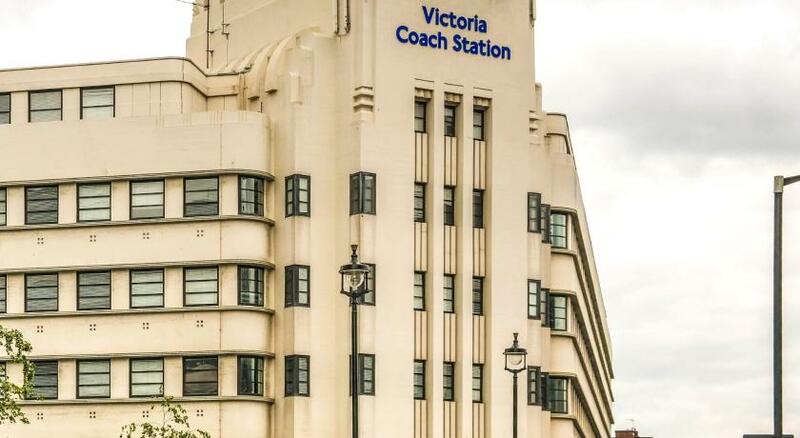 great location as it is literally across the street from Victoria station. 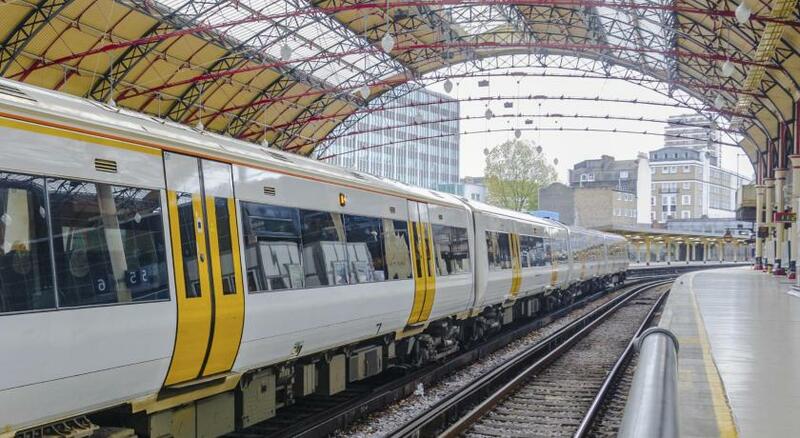 Convenient to the tube station and therefore easy to get to from the airport. The restaurant was excellent. The room was very clean and comfortable. The staff was very helpful. We got an early check in and were able to leave our bags when we checked out so that we could explore the city for the day before we had to head to the airport. Next to the Victoria train station. Staff was friendly. The breakfast was very good. The warm chocolate chip cookies were perfect! Staff was friendly upon arrival. Comfy beds. One minute walk from metro. Hotel staff are nice, cooperative, smiling. Room and bathroom are good and comfortable. Room size good. Location OK.
Front Desk Guest Service, King, provided excellent service. When we checked in our room, there was something wrong with the water and air conditioner. King quickly transferred us to a more comfortable room and took the extra step in personally checking the room to make sure everything works to our satisfaction. All the personnel at front desk were very friendly, accommodating, in high spirits and made our stay feel more like our home. Breakfast was great which is very important to me. Rosemarie from the breakfast reception catered to all our needs every morning. The location was second to none. 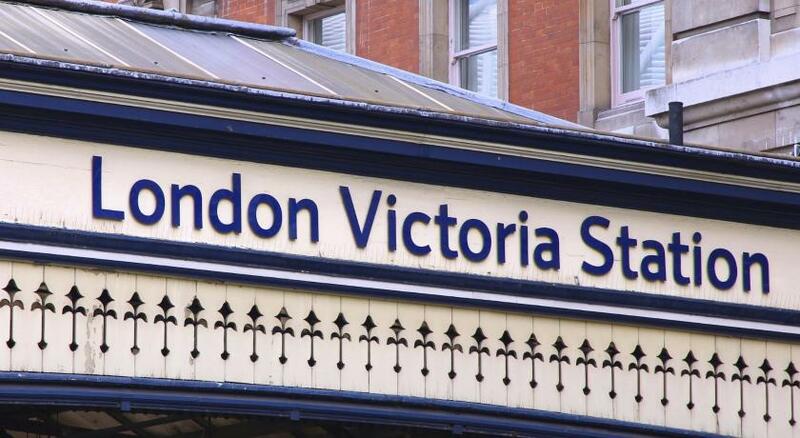 We navigated the entire city with no issues because our hotel was just across Victoria Station. 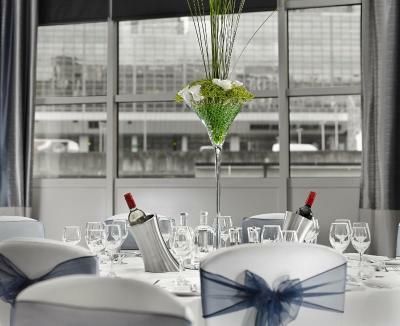 This is the best location to get to - from Heathrow Airport and any major attractions in London (e.g. within 10-15 minutes walk to Buckingham Palace). 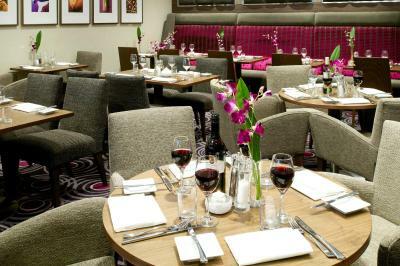 The staff were wonderful and the room was comfortable, clean and quiet. 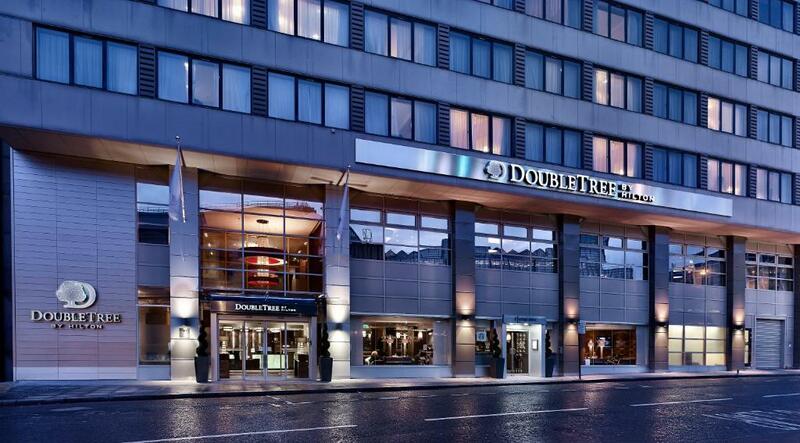 DoubleTree by Hilton London Victoria This rating is a reflection of how the property compares to the industry standard when it comes to price, facilities and services available. It's based on a self-evaluation by the property. Use this rating to help choose your stay! 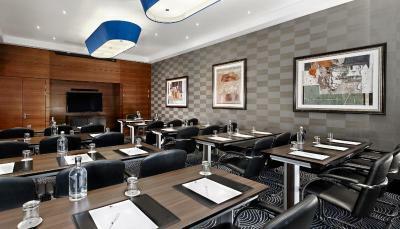 One of our top picks in London.Double Tree London Victoria is located opposite Victoria Station, with links to Gatwick and Heathrow airports. Buckingham Palace is a 15-minute walk away and the iconic London Eye is less than 1 and a half miles away. 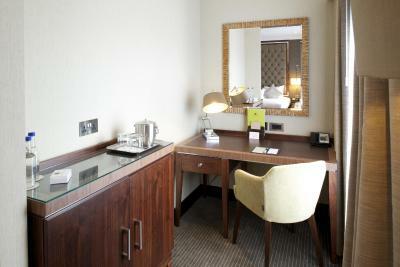 The spacious, warmly furnished rooms all feature a private bathroom and a flat-screen TV with satellite channels. 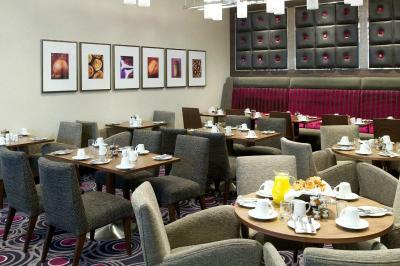 Complementary WiFi is available, along with a safe, tea/coffee making facilities, and a seating area. Some rooms also boast a balcony. 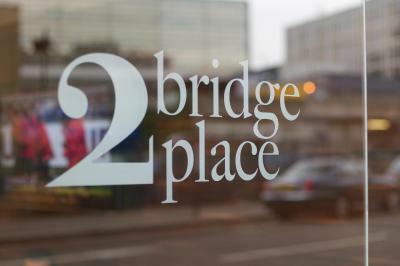 2 Bridge Place serves a European á la carte menu, made with locally sourced ingredients with a selection of seasonal dishes. 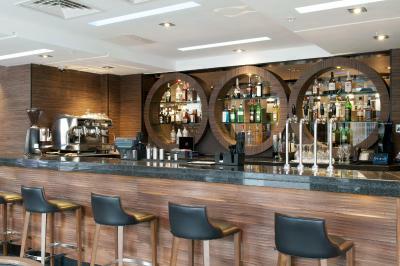 Cocktails and drinks are served in the stylish bar. 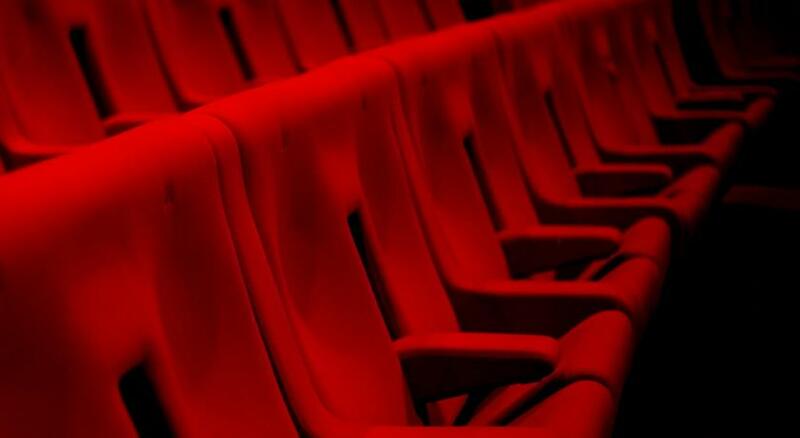 Victoria Place Shopping Center is right next to the hotel, while The Apollo Victoria Theater is just a 2-minute walk. 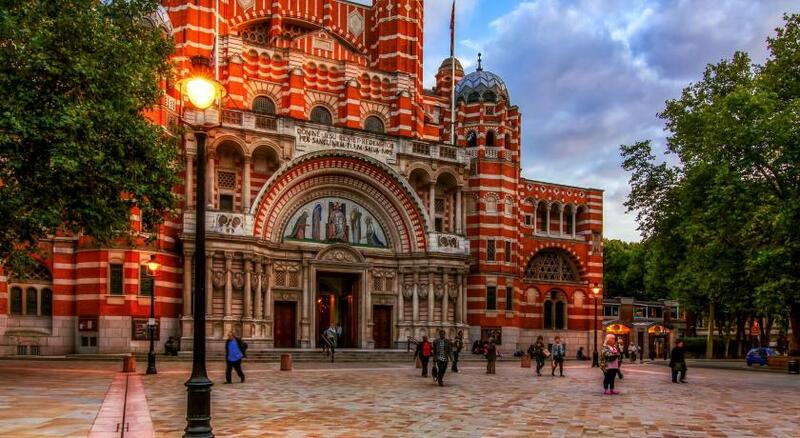 Westminster Cathedral is 5 minutes’ walk away, and St James’s Park is 15 minutes away. 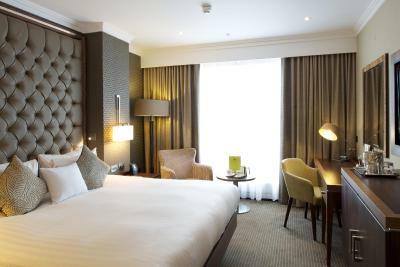 The world famous Harrods and Oxford Street are both within 30 minutes' walk from the hotel. 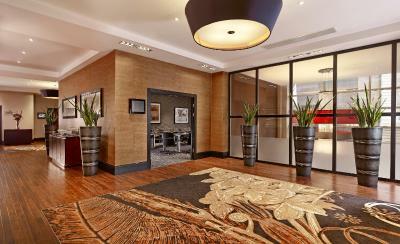 When would you like to stay at DoubleTree by Hilton London Victoria? This contemporary styled room boast a seating area, a flat-screen TV with satellite channels, luxury linen and towels and private bathroom. This contemporary styled room features a 37-inch flat-screen HD TV with satellite channels, luxury linen, towels and an private bathroom. It also features a queen-sized bed and climate control. 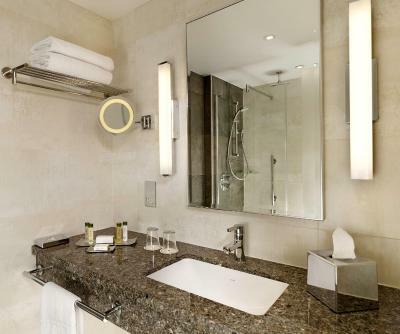 This contemporary styled room features a flat-screen TV with satellite channels, luxury linen, towels, a mini-refrigerator and an private bathroom. This suite with a flat-screen TV with satellite channels also features free Wi-Fi, a private bathroom, a hairdryer and a sitting area. This triple room features air conditioning and an electric kettle. It contains 2 single beds and 1 rollaway bed. This double room features a satellite TV, electric kettle and tea/coffee maker. This room has a city skyline view on the high floor, 40-inch TV, mini-refrigerator, bathrobe and slippers. This room on a high floor, features air conditioning and an electric kettle. 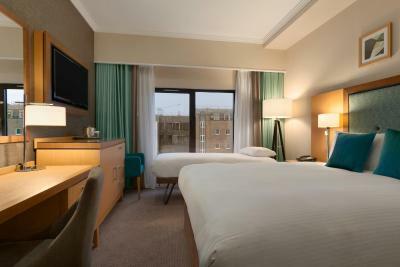 It contains 1 queen bed and 1 rollaway bed with upgraded amenities. 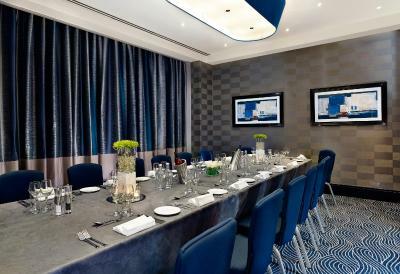 The DoubleTree by Hilton London - Victoria is a 4 star hotel and is located opposite Victoria Station for the most immediate transport access available. 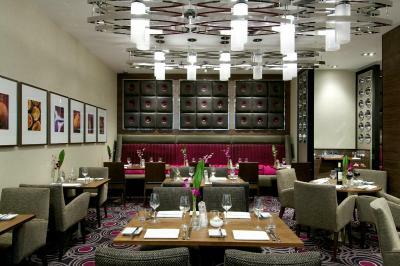 Once you arrive feel at home in our vibrant hotel lobby and to your right our modern and contemporary 2 Bridge Place Bar & Restaurant. 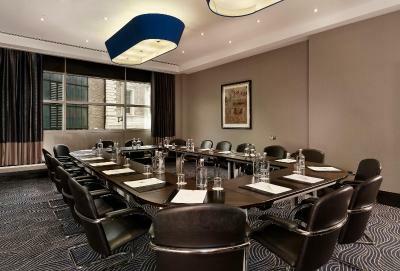 House Rules DoubleTree by Hilton London Victoria takes special requests – add in the next step! 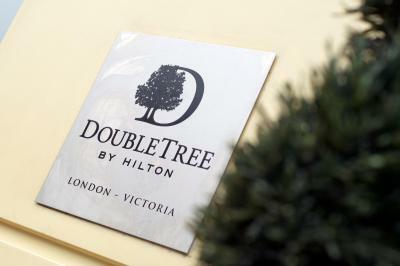 DoubleTree by Hilton London Victoria accepts these cards and reserves the right to temporarily hold an amount prior to arrival. Location is near to Victoria train station, less than 5 mins walk. The staff at front desk and concierge is very friendly and helpful. We were given baked cookies upon check in(probably due to Easter festive) which is a nice touch. Breakfast choice was good. 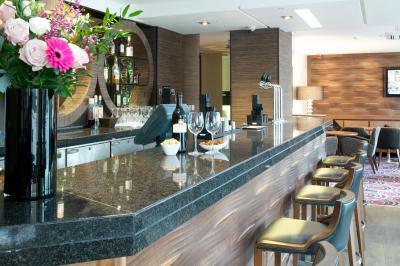 The service at reception and restaurants are excellent. Hotel in need of refurb... a bit tired looking. Close to the train station and theatre. 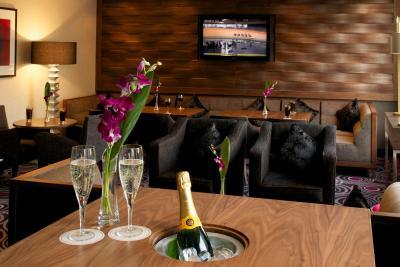 Perfectly located in the heart of Victoria, this hotel is well equipped and comfortable. Staff were excellent very efficient and friendly and very welcoming to the children making their stay extra special. 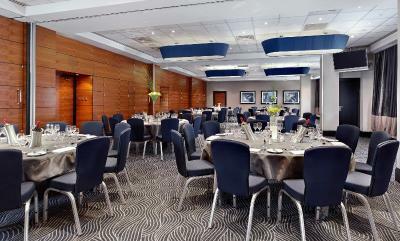 Hotel is just behind Victoria station which is within walking distance of Buckingham Palace and other sights. 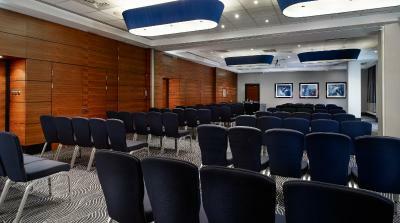 The location is very convenient, especially if you fly in/out from Gatwick Airport. 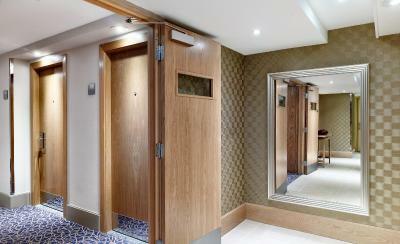 The hotel room is spacious and the room services are very professional. Highly recommended for family stay. They placed us right by the lifts which was really annoying. Also, ordered room service which was great and quick, but was told to place outside my door when I was done - it was still there the next morning and wasn't picked up until early evening the next day. Room service - got the order wrong (asked for peppers on the pizza but sent pepperoni and we're vegetarian! so my daughter had nothing to eat as it was too late to send it back etc) but the meal was removed from the bill on check out. We had no lights for the whole morning on Sunday morning so had to shower etc in the dark. I was told that the electricians would be in at 10.00am but we had to check out at 11.00am. The lights came on at 10.45am just as we were leaving the room. I was told that there was nothing they could do about it as it is the centre of London - I found this to be utter rubbish. 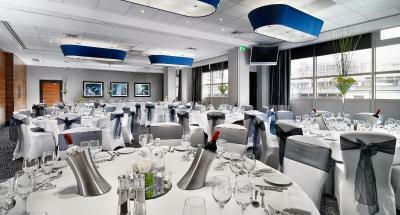 In a hotel such as this and in this location i.e. London I would expect them to be prepared and able to deal with issues such as this. The response was very disappointing they didn't even offer us a torch to see around in the bathroom. It spoilt the whole experience. I found the person on check out very unhelpful and patronising. They didn't even offer us a cup of tea for the inconvenience. 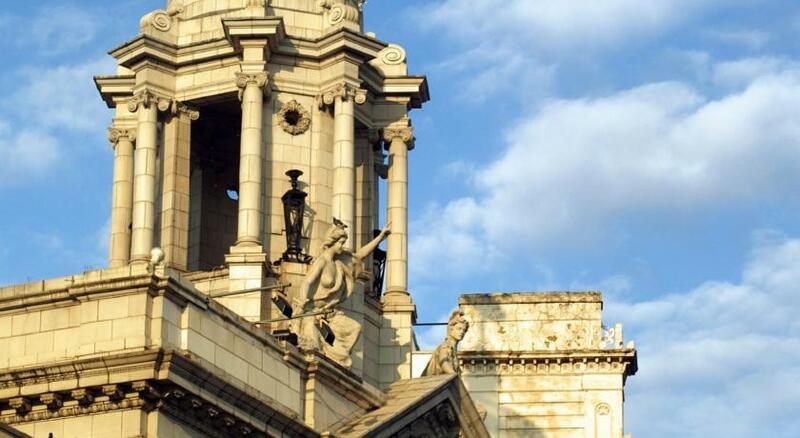 How close the hotel was to the Victoria Palace Theatre. Breakfast was good and the bar area was pleasant. Friendly check in on arrival and friendly staff in the restaurant. Would have preferred a shower cabinet instead of a shower over the bath. Staff were all very helpful and friendly. There were many rough sleepers around, which we found unnerving on our return to the Hotel after dark. Thought the drinks were very pricey, two gin & tonics were £25.00 (hendericks gin and schwepps tonic) but each round of drinks had 12.5 percent service charge, maybe we should have ran a tab. Hotel was just across from Victoria train station, so was great for our British Belmond trip, which left from platform 2. Lovely quiet rooms, which were clean and comfortable. Tea and coffee making facilities were available too.